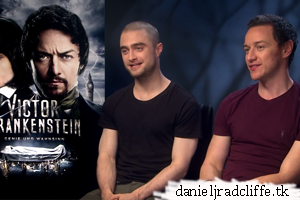 The first German interview for Victor Frankenstein (Victor Frankenstein - Genie und Wahnsinn) from the London press junket in 2015 arrived online this week. If more videos appear I'll add them. Update: 11th May 2016. joiz.de, muxx.tv and Rocket Beans TV interviews. This video is also shared by danieljadcliffe.tk on Facebook.